He begun to formulate a new sound which drew influences from his musical background of Hip Hop, Electro house, RnB and Reggae. After setting up his recording studio in London he begun working with the likes of Stylo G, Lethal Bizzle, Major Lazer and Wiley. 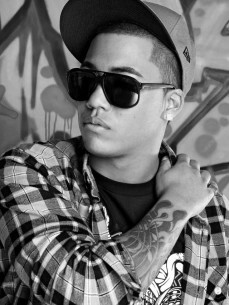 In March 2013 Diztortion scored his first to 20 UK Chart hit with "Soundbwoy" by Stylo G. The track was A-listed on BBC Radio 1 and has over 1 million views on youtube. Lethal Bizzle then released the Diztortion produced "They Got It Wrong" which featured Wiley (rapper). Diztortion continued his success in 2013 with Lethal Bizzle "Party Right", which reached 29 in UK OCC Chart and the club anthem "Badd" for Stylo G.
In 2014, Diztortion scored more hits with Lethal Bizzle "The Drop" reached number 20 in the OCC and "Rari Workout" which reached 11 in UK OCC Chart. In August 2014 Diztortion signed a Record deal with Universal Records and also signed a Publishing deal with Warner Chappell Publishing. The first solo single is set for release in late 2014. In May 2015, Diztortion scored another hit with Lethal Bizzle on Fester Skank- the song reached Number 11 in the OCC UK Charts.